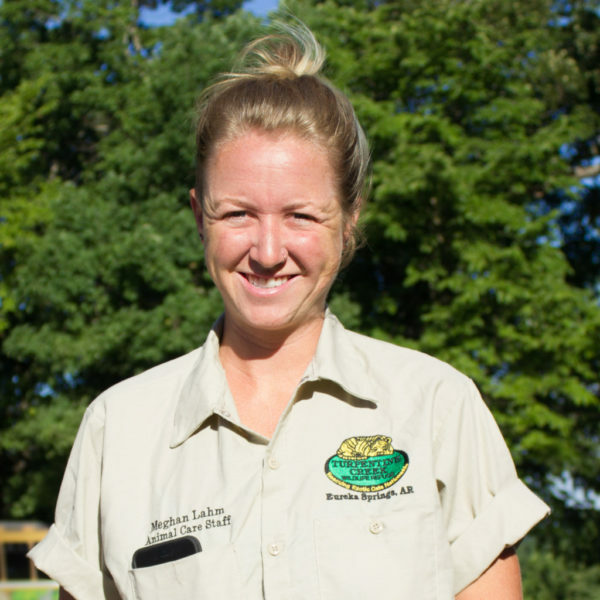 Meghan Lahm came to the Refuge from Dover Plains, New York and is a member of the Animal Care Staff. She earned her degree in biology from Southern Connecticut State University where she was also a field hockey player. Being a lover of animals, it wasn’t long after graduation that Meg applied to the Internship Program at TCWR. Becoming an intern was the first step in her longtime desire to go to Africa and research human-animal conflict with big cats. After her second internship at the Refuge, however, she decided that the work that she was doing every day at TCWR was making just as much of a difference in the lives of the animals and happily decided to stay after being asked to become a member of TCWR staff.